The last BYCTOM entry, written after the predictably heart-rending loss to Minnesota in the Big Ten Tournament, ended with a single-minded demand for NIT hardware. That did not happen. 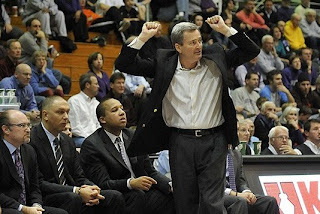 Instead, as you all are aware, Northwestern was ignobly bounced from the National Invitational Tournament like a wavering bar patron with dancin' feet and sharp elbows. Yet, the pain of another tourney-less basketball season has subsided into a traditional Northwestern cycle: angry alumni calling for Bill Carmody's head for failing to get the Wildcats to the Tourney, the promise of European big men, deranged alumni calling for Bill Carmody's head to add to their Jeremy Bentham head collections, and finally failing to suppress some hope for the next season in spite of ourselves. But a spring that ended in the basketball team's despondent spiral from inspiring mediocrity on the NCAA bubble to the horrifying mediocrity of the NIT also brings the promise of football season. For the spring which brings the basketball team despair and suffering also brings spring football, where the Wildcat offense and defense turn against each other in a thrilling display of perfidy, treason, and turn-againstmanship. The football team will have a tall order in replacing stars such as Jeremy Ebert, Drake Dunsmore, and Temporary Heisman Billboard Candidate Dan Persa on offense. Fitz instead plans to replace them all with Kain Colter, who will fill in as the new quarterback, wide receiver, and superback on the same play, which will hopefully cause matchup problems and require turning Ryan Field into a deadly hall of mirrors. The defense, meanwhile, hopes to rebound from a down year that often featured wide receivers somehow using a variety of misdirection and illusion to escape the watchful eye of the secondary. 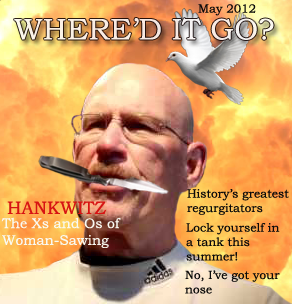 This is a problem that went unremedied because Mike Hankwitz is himself a magician and therefore refused to reveal his secrets to Northwestern's occasionally befuddled defensive backs. Looking forward to Northwestern football is an excellent way to spend a dismal spring filled only with disappointing baseball, eliminated professional hockey teams, and basketball players missing key ligaments. The Cubs all but sprinkled a trail of rose petals from Boston to Chicago and maybe hired those long trumpet guys to greet franchise savior Theo Epstein as he attempted to bring the Cubs into the twenty-first century. This was clearly a mistake. The twenty-first century has been rough for the Cubs; Tom Ricketts should have instead spent the money on finding a way to bring the Cubs back to the nineteenth century when they rode roughshod upon the three other baseball teams and also had mustaches. Epstein and new General Manager Jed Hoyer have wasted no time doing the proper thing for the Cubs. 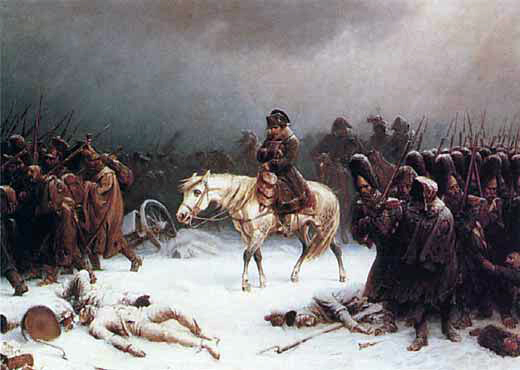 Much like Russian peasants fleeing the Napoleonic hordes, they have scorched the earth and retreated to wait out the biggest threat to Cubs baseball by which I mean Alfonso Soriano's contract. The result is a thrilling race to the bottom where the Cubs will trot out a series of mediocre fill-ins in a race for fourth place in the anemic National League Central. No one seriously expects the Cubs to win more than 75 games this season. The Cubs began the year by making it seem unlikely they would win one. That the Cubs seem destined to be crappy this season is understandable; crappy is the Cubs' default setting. More worryingly, the Cubs began the season primed to be not only bad but boring. When the Cubs blow a big game, who is going to go berserk and throw gatorade equipment? Darwin Barney? Reed Johnson? The sentient hair-creature that seems to cling to Reed Johnson's face in order to feed on nutrients that miss Reed Johnson's mouth? Somehow, in the last few weeks, the Cubs got vaguely interesting. The starting pitching has been excellent, buoyed by Ryan Dempster. Jeff Samardzija, whom I never wanted to see pitch for the Cubs again, somehow has not only been effective in this miniscule sample size, but also has the decency do so with a hair and mustache combination that involves the hoarding of his precious doubloons. Reclamation project Brian LaHair is hitting the absolute snot out of the ball, and I fully expect him to sustain a BABIP north of .500 for the season. Starlin Castro and Tony Campana are terrorizing people on the basepaths because Tony Campana is somehow getting on base in defiance of all known laws of baseball. Darwin Barney improbably spent the offseason attempting to turn himself into two Darwin Barneys. The bullpen implodes in a comedic fashion virtually every time it is called upon to do anything to the point where if the Cubs had a bullpen car, I would expect it to run over a seagull and then burst into flames while the other relievers respond the only way know how by walking the bases loaded. The Cubs may be sitting in last place in the feeble NL Central, but for some reason they are slightly more compelling than they seemed at the beginning of the season or will be when they continue to wallow in a morass of their own terribleness. The first editor, Richard S. Lambert left in 1939 after successfully suing Sir Cecil Levita for slander over allegations that he was unfit for his job because of his credulity in believing in Gef, the talking mongoose. This clearly warranted further investigation. 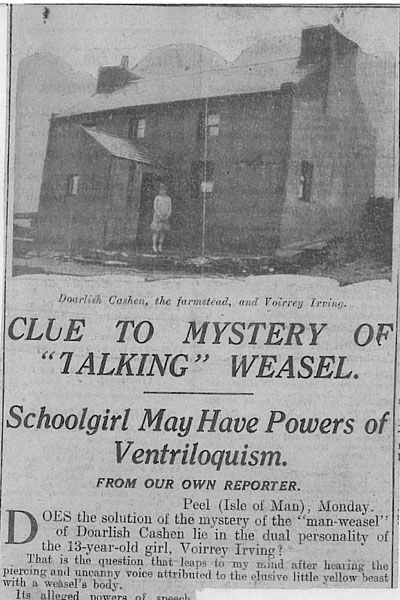 In 1931, a family on the Isle of Man became convinced that their house had been haunted by a spirit in the guise of a talking mongoose named Gef (pronounced Jeff in an extraordinarily disappointing turn of events-- haunting spirits should have at least one unnecessary apostrophe in their name or a descriptive title such as The Soul Guzzler). According to James Irving, the family patriarch and official diarist of all Gef-related ephemera, the mongoose began to first make odd noises and then gained the power of speech. This article from the Fortean Times by Christopher Josiffe has several excerpts from the Irving diary which makes Gef out to be a tricky being that claimed “I am the ghost of a weasel, and I will haunt you with weird noises and clanking chains” before revealing itself as a mongoose (I recommend reading the Josiffe article-- it's great piece of research from the archives of famed psychic investigator Harry Price and local news sources while maintaining a Fortean sympathy for the possibility of Gef's existence). The claims of a talking mongoose invited great interest and speculation. 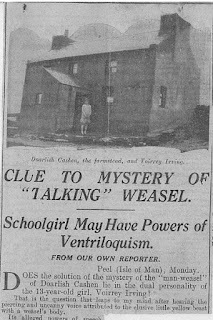 The local press not surprisingly ate up the story of a talking mongoose spirit, and journalists and spiritualists journeyed to the Irivings' farm to investigate. Listener editor Richard Lambert was one of them. He nurtured an enthusiasm for the occult and paranormal, much like other literary figures such as Arthur Conan Doyle and Dan Akroyd. Lambert traveled to the Isle of Man with Price for a Listener story and contributed to Price's book about the phenomenon called The Haunting of Cashen's Gap. Unfortunately, I was unable to get my hands on a copy, and the BYCTOM coffers have come up just shy of the $299.99 required to purchase a volume off Amazon. Journalists tried to unmask the talking mongoose as a hoax. My favorite theory involved suspecting that Irving's thirteen year-old daughter Voirrey had masterminded the prank using ventriloquism. that she used her "powers of ventriloquism"
Levita: "He said that the owner of 'Jeff' [the talking mongoose] had no pecuniary interest in the matter. I did my best to 'guy' the whole thing, but I was left with the impression that nothing would induce him to say a word against it or to permit me to scoff at it." "Cross-examined, Sir Cecil Levita said that, if a man came to him and said that a colleague of his (Sir Cecil's) had moved his house several times because of pursuit by the evil eye, and if his informant at the same time tapped his forehead, he would understand that his informant was seeking to tell him that his colleague was lacking in mental balance." Lambert won the case and a significant £7,600 sum in damages after providing a memorandum that threatened to terminate his BBC job if he did not stop his action against Levita. The case not only showed that a man's proclivity to investigate talking mongooses had no effect on his ability to edit a publicly financed magazine. It also raised troubling questions about the relationship of private actions in the context of the BBC. Most importantly, it got everyone talking about mongoose hauntings in a court of law while people were almost certainly wearing ridiculous wigs. The possibility of a talking mongoose named Gef and championship seasons for both the Wildcats and Cubs seem to all belong within the realm of the paranormal. A winning season from the Cubs would, in fact, require the twin investigative powers of both Harry Price and Charles Fort to make sure that we had not slipped into some alternative dimension or confirm that Geovany Soto has learned to distract batters with his powers of ventriloquism. The summer will provide an exciting time for speculation about Northwestern's football and basketball teams, who may finally achieve the impossible by winning a bowl game or making the tourney. And if they do not, we can comfort ourselves by suing people for slander. Labels: Fist Antlers, Gef the talking Mongoose of Man, Napoleon's Retreat, Powers of Ventriloquism, The Listener, Turn-againstmanship, Where'd it go?